The Rebel Sweetheart. 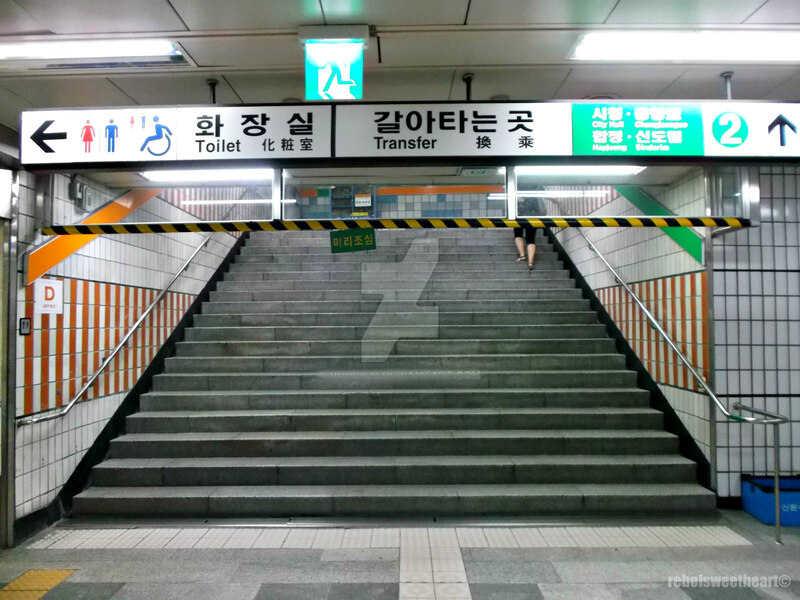 : Seoul Searching | Riding the Seoul Subway. 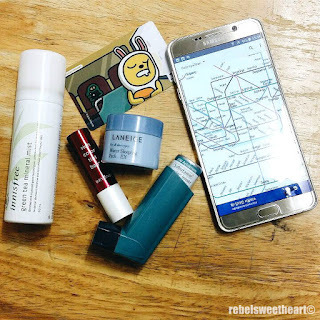 Seoul Searching | Riding the Seoul Subway. 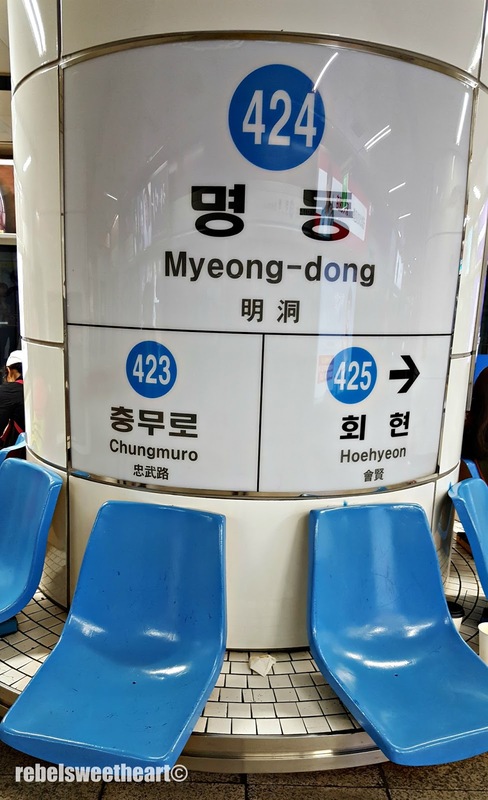 Previously, I've blogged about the Seoul bus system - how to differentiate the multi-colored buses, where to find them, and how to ride them. 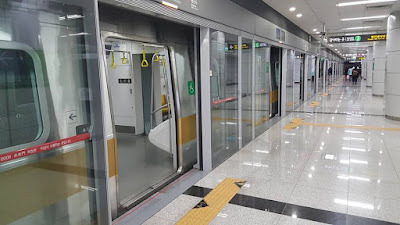 This time, I'll tell you all about the Seoul subway system and how easy, fast, and convenient it is to move around the city using this mode of transportation. Photo credit: Seoul Korea Facebook page. 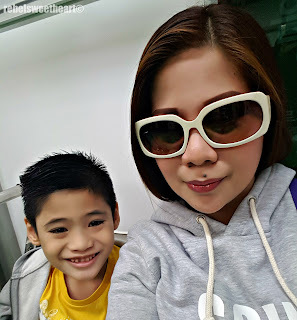 As I have mentioned before, we often ride the Green Bus to take us to the nearest subway station. These buses usually include subway stations in their routes, so in case you're feeling lost and don't know where you are, ride a Green Bus as the chances are very high that it will stop near a subway station. Subway stations are mostly located underground, although there are quite a few above ground level. Their lines are easy to identify as they have both a number and color and can be referred to either way. For instance, the line on the photo above is the Orange Line, or Line Number 3. At present, there are 10 lines operating in the Seoul area, including the Bundang and Incheon lines. 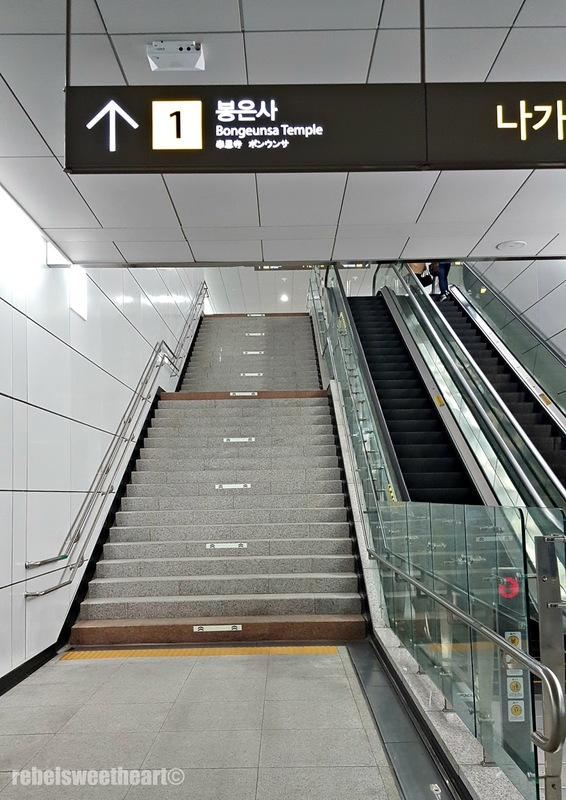 One of the entrances/exits at Bongeunsa Station. This one leads to Bongeunsa Temple. Subway stations usually have more than four entrances, with some as many as fourteen. All station entrances, platforms and destinations are color-coded and clearly marked in English. Large subway maps are posted at each station and in each subway car. Navigation apps are very useful. I must admit, the Seoul Subway map looked very intimidating at first, but things got easier for me after I've installed the Subway Navigation app on my phone. This app gives the fastest route via subway, considering your position, time, and train timetable including Express schedules (express trains that skip other stations) and transfer times per station. Best of all, this app uses English text and works offline. Now to able to ride the subway, you need to have a T-money card - a transportation card used to pay for bus and subway fares. 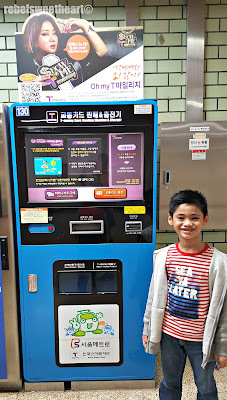 T-money cards can be purchased at convenience stores (7Eleven, GS25, CU, Mini Stop, Buy the Way, With Me, Story Way) and at ticket vending machines inside subway stations. 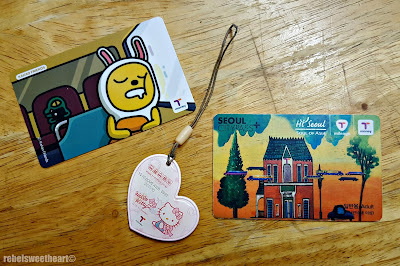 Kakao Friends T-Money card, Hello Kitty T-money cellphone charm, Seoul City Pass card. These T-money cards come in various forms and designs. There's the Seoul City Pass, which is preloaded with 5000 won upon purchase, and the Affiliated Card, such as the Kakao Friends card that I use. I bought it for 5000 won at 7Eleven, but unlike the preloaded Seoul City Pass, I had to reload the Kakao Friends card separately. They also have T-money cellphone charms, pendants, and USB memory sticks, though I'm not sure how much these cost as the one that I have was given to me as a gift. Reloading device at Ttukseom Station. T-money cards are reloadable in amounts ranging from 1000 won to 90000 won at convenience stores and card reload machines inside subway stations. 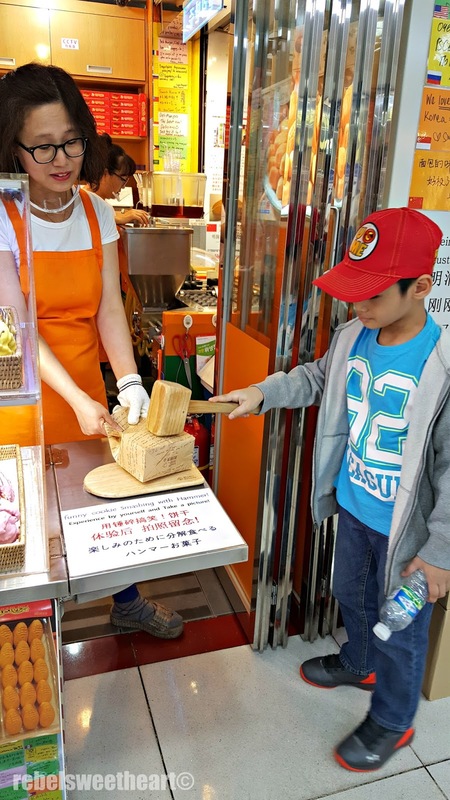 Foreigners won't have a hard time operating these machines as the instructions are also available in English, Chinese, and Japanese. With a loaded T-money card, you can now enter the subway through the ticket gate entrance. 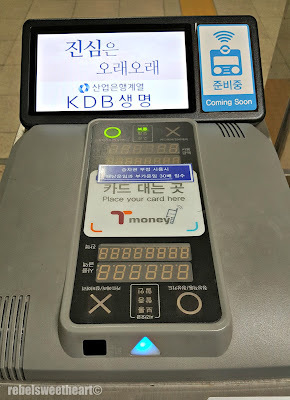 To enter, you need to tap your card on the reader, similar to the ones you find on Seoul buses. Subway base fares are 1250 won for adults, 720 won for teens, and 450 won for kids aged 7-12. Kids aged 6 and below can ride the subway for free. This standard fare covers the first 10 kilometers of your ride. After that you have to pay 100 won for every 5 kilometers, and after 40 kilometers in total you pay 100 won for every 10 kilometers. Oh, and before you enter, make sure you are going through the right gate. The signs on the ceiling will tell you if you are on the right track, literally. Not Platform 9 and 3/4. After entering the gate, make your way to the platform, and wait for the train to arrive. 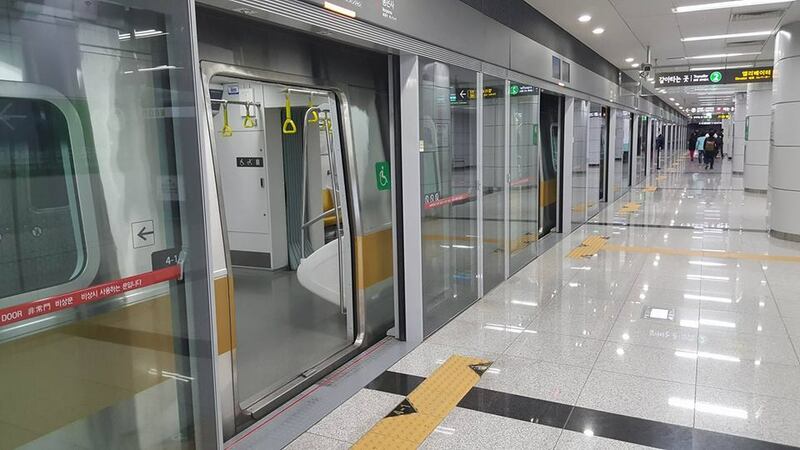 The platforms in most subway stations in Seoul have screen doors that block direct access to the track. These doors prevent accidents from happening - ergo rambunctious kids running around the platform, or individuals trying to commit suicide by jumping on the tracks. 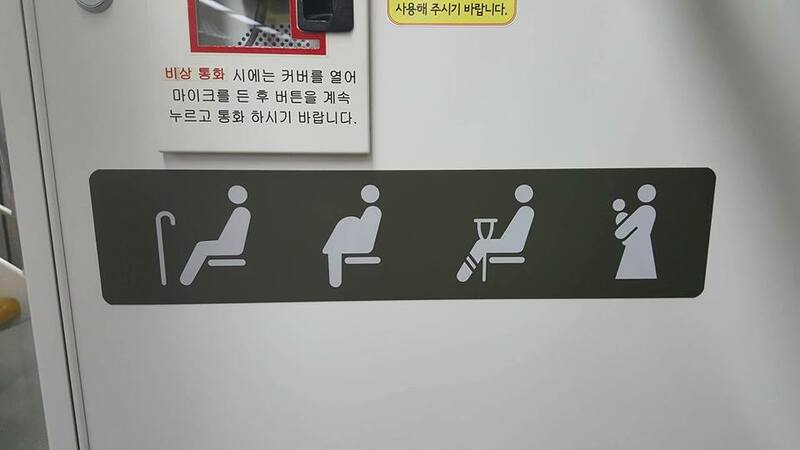 Bigger doors for passengers on wheelchairs or parents with prams. Board quickly once the train arrives. Take an empty seat, but be prepared to stand when seats are unavailable especially during the rush hours. 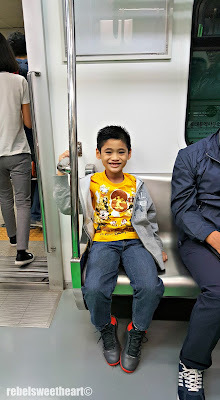 The boy loves riding the subway. 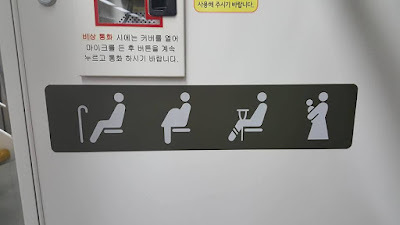 At the ends of each car, there are seats reserved for the elderly, the disabled and pregnant women; be careful not to sit in these special seats even if they're empty – unless, of course, you fit into one of those categories. 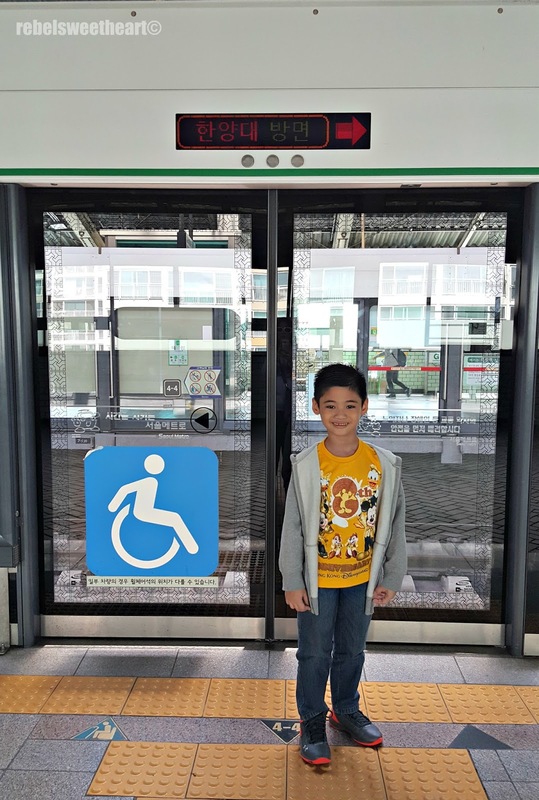 There were some instances when Yue had the chance to occupy the priority seating, only because a halmoni (grandmother) would cajole him to take a seat. I would politely refuse and Yue would give me a confused stare, but the halmoni would insist and say it's okay for him to sit there. 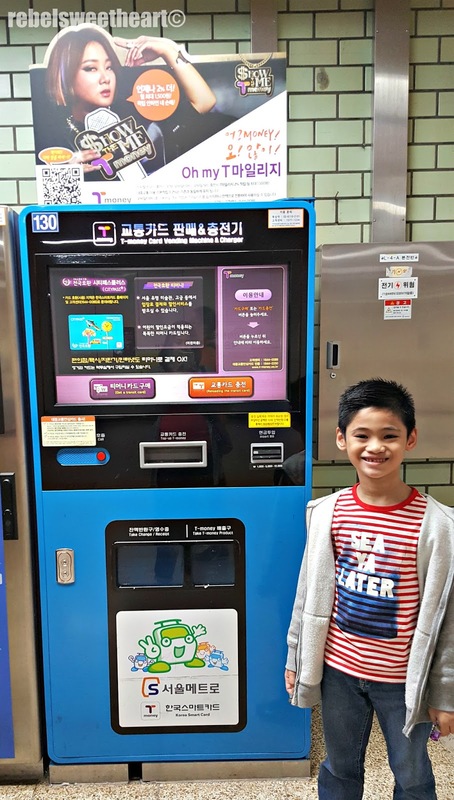 Don't forget to take note of the subway announcements and the LED screens inside the train that tell you which station you're at, which station you're going next, and what transfers are available at the station. When exiting the subway, don't forget to tap your card on the reader. You won't be able to pass through the gate otherwise. Similar to the 'tap-out-before-you-alight-the-bus' rule, the same principle applies in the subway with regards to your T-money card. You will be charged extra if you don't tap your card out of the system. It is important to know in advance which side you are exiting from, since subway stations have multiple exits. 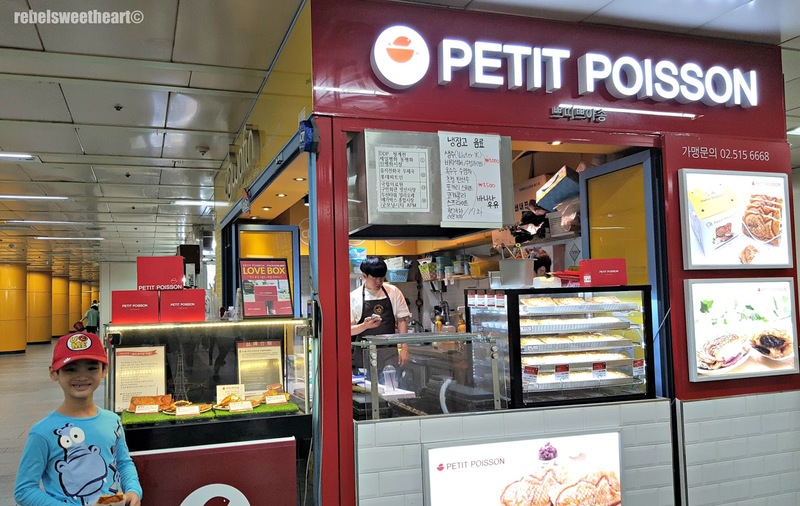 You can also refer to the Neighborhood Map and signage around the subway, they're a big help if you're not familiar with the area you are going to. Now here's the thing about transferring lines. They're free, yes. But they can be a pain at times, especially when you need to walk a long, long, looooong way to reach the other platform. The horrendous transfer, Euljiro3-ga, Line 3. Case in point, the ridiculously long passageway in Euljiro3-ga that connects Lines 2 and 3. It was so long and confusing that the supposedly 29-minute ride from Anguk to Ttukseom (homeward-bound from Changgyeonggung Palace) took almost an hour because of the long, long, very long walk along an empty corridor, and we could not seem to find our destination platform! 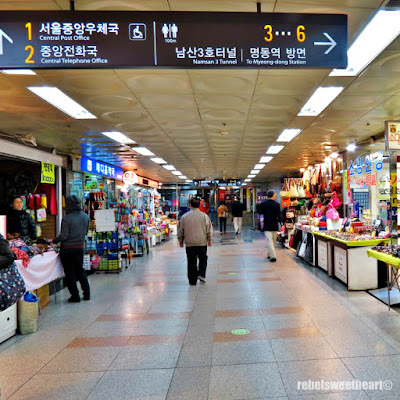 One of my favorite stations - Myeongdong Station, Line 4. Thankfully, not all transfers are as tiring as this. 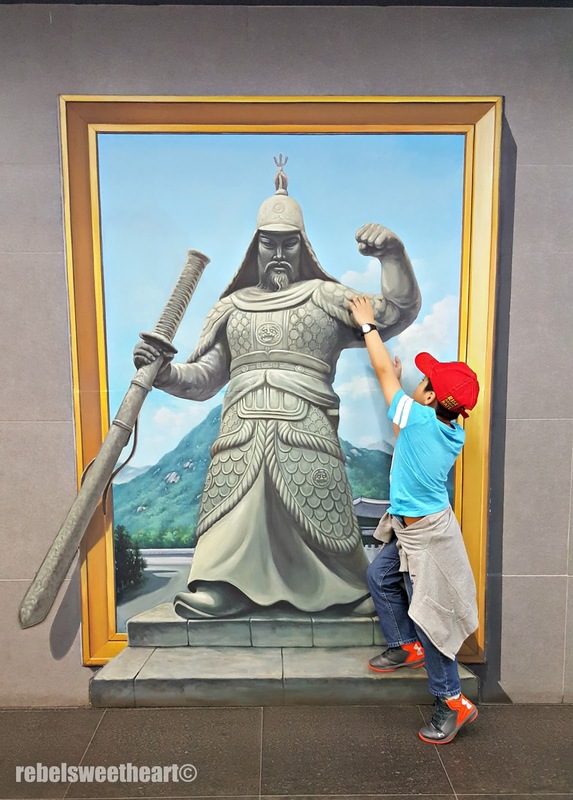 One particularly easy transfer point is Dongdaemun History and Culture Park, which connects Lines 2 and 4. 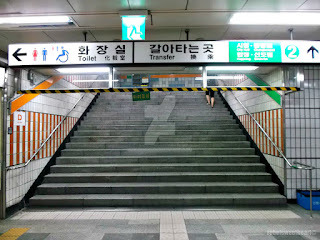 I only had to go down one set of stairs, thus making my first ever subway/transfer ride going to Myeongdong a breeze. Interesting sculptures at the Bongeunsa Station, Line 9. Oh, and in case you have some business in Line 9 (like going to Bongeunsa Temple, which we did), take note that transfers here are free - despite the fact that you have to tap your T-money card at the entrance gate. For some reason, there's a gate at every single entrance at every single station in this line, and you still need to tap your card to get through. Royal Procession, and some other cool drawings. 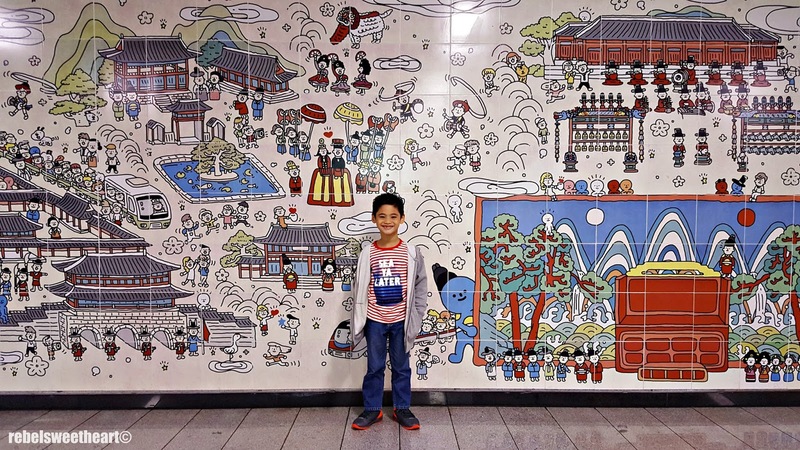 At City Hall Station, Line 1. 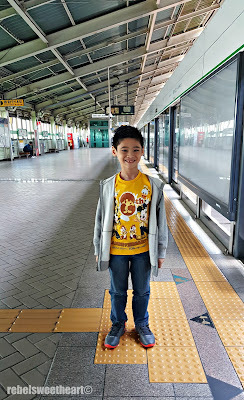 At Chungmuro Station, Line 4. Crumble Cookies - really large, ball-like cookies that you need to hammer. At Myeongdong Station, Line 4. At Dongdaemun History & Culture Park Station, Line 2. Underground Shopping Mall at Myeongdong Station, Line 4. 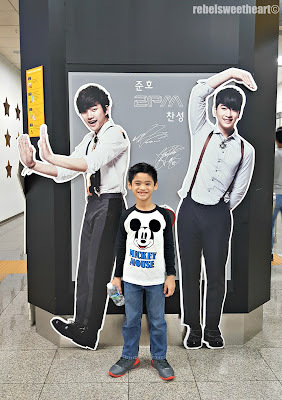 G-Star Zone at Apgujeong Rodeo Station, Bundang Line. I really love how organized their transport systems are, especially the bus and the subway! It's so much easier to go around the city when it's this easy to understand. 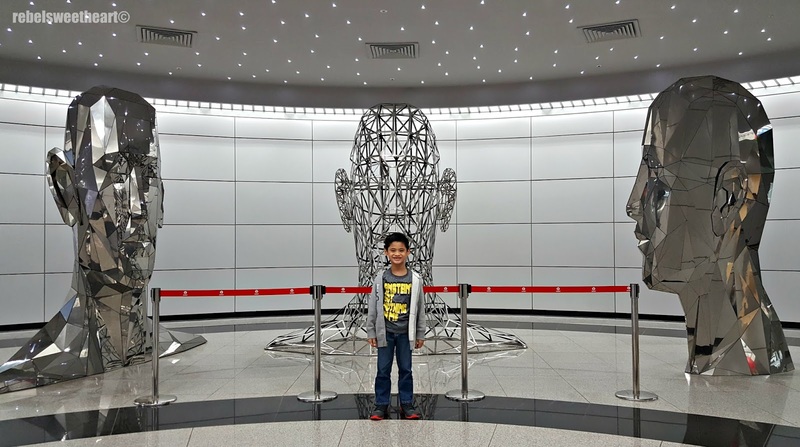 I like their subway, it is very neat and not congested with too many people. I hate riding MRTs but this one makes me want to. Their subway system really looks secure and organized. Very-well adapted to technology as well, just like Japan's. I wish the other Asian countries can have a similar system as well. I enjoy reading every tidbit you have about Korea, by the way. Keep it up! Subway system is such an easy & convenient mode of transportation these days & your guidance on the Seoul subway system will be helpful to many. The pictures are amazing & I love that Underground Shopping Mall as well. Seoul Searching | The War Memorial of Korea. Sneak Peek | Laneige Summer 2016 Collection. Foodie Goodie | Korean Ramyeon. 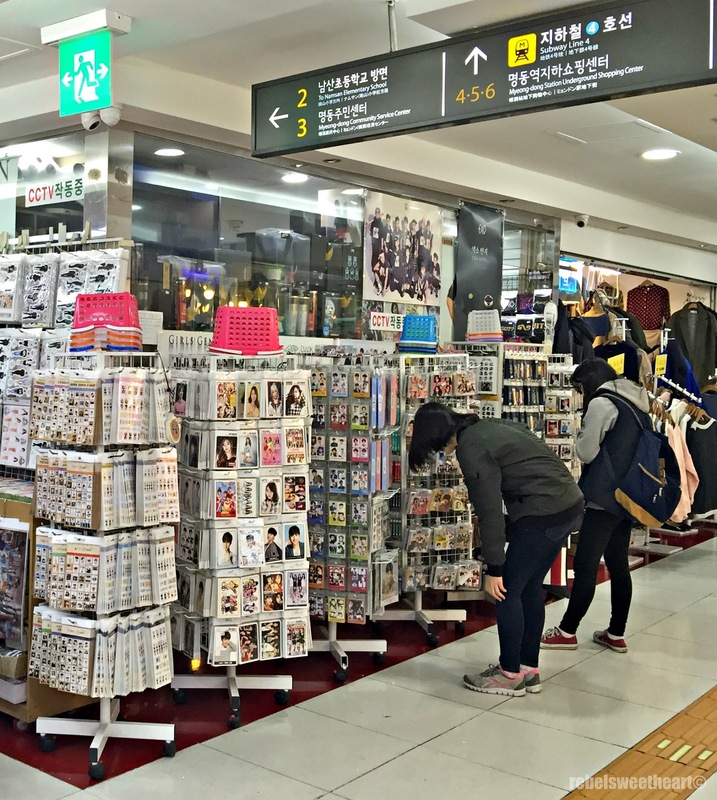 Seoul Searching | SMTown at COEX Artium! Spotlight | Ever Bilena Liquid Concealer. 5 Ways to be the Coolest Bride and Groom Ever. Seoul Searching | Riding a Bus in Seoul.